As an affiliate you also get paid $10 cash (through PayPal) every time someone signs up as an affiliate through your link. Remember they must enter the site through your special link. After you sign up as an affiliate go to your back office and get your coded links to distribute to your friends and family. Listen to our Radio Show and Earn Money and Prizes. Click here for details. Earn cash and/or prizes when you post comments on our news site. As an affiliate you also get paid up to $30 cash (through PayPal) every time someone signs up and uploads art or products (at least 6 items) to our Philly Art Expo site. Earn up to 25% for referring and completing sales on our October Gallery site and Ebay Store. Details of the above and all the many ways you earn are sent through our email system on a regular basis. ways you can earn money and prizes as an affiliate. How to market your links to make money. Post to your facebook page using your special coded links and banners. Post to Instagram and insert your affiliate ID into the photo/image. Use twitter as a means to reach your audience. 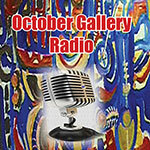 Send emails to your friends and family asking them to listen to the October Gallery Radio because it’s educational, informative and entertaining. Make certain you place your Affiliate ID Link in your email so you can earn your commissions. Talk to a lot of people about the radio show …… and guess what …… there are a lot of people. Give your affiliate link out to every one you can. Have small gatherings at your home or office and encourage attendees to listen to the radio show and become an affiliate. Raise funds for your church or community group as an affiliate. Organize meetings and events at your church and split your commissions with the group. By doing this you are doing a good deed and the group may help you to secure a bigger or different audience. Design and print flyers (black and white flyers are real cheap to print) and leave them at stores, churches, beauty salons, etc. Set up a table or just visit flea markets, bazaars, family reunions, picnics and more and hand out flyers and talk to folks about what you are doing. 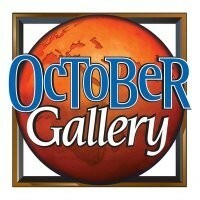 On our radio page octobergallery.com/live there is a facebook comment feed. Post to this feed and place your affiliate code as part of your comment. Hopefully you’ll get a visitor or two from this strategy. Remember you aren’t selling anything. As an affiliate you are not asking folks to spend their money. You are trying to encourage people to educate, inform and entertain themselves through the arts. And that’s a powerful message.